· The importance of being in attendance and being on time is a learned behavior for students to acquire at an early age. A pattern of five consecutive or ten nonconsecutive unexcused absences, ten tardies, or ten early dismissals will result in your child being removed from the program. · Upon enrollment in the program, your child must be completely toilet trained and able to clean themselves properly. A pattern of toileting issues will result in your child being removed from the program. Your child will be placed back on the waiting list for reentry when issues are resolved. · Due to health/safety standards, ECC staff cannot change children who have soiled their clothes. If children can clean themselves properly and change their clothes, the soiled clothes will be sent home and parent will not be contacted. If, however, a child is unable to clean and change him/herself, the parent/guardian or their designee must be available by phone to either come to school, clean and change the child's clothing or pick the child up within 30 minutes. 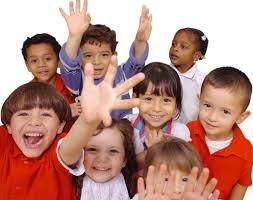 A pattern of toileting issues will result in your child being removed from the program. · Due to storage and safety issues, rolling book bags are not permitted. Sneakers are preferred and are the safest shoes for students at the Early Childhood Center. Flip flops and shoes with heels are not appropriate for the playground. We look forward to watching your child learn and grow with us. Our goal is to provide the very best learning environment for every child.